It’s been a few weeks since my last post, because I’ve been caught up in my new book. This will be my third book and I’ve started working on it while I’m trying to sell my second book. I love working on a new story. Everything is fresh and exciting and feels like it’s really good. Then it’s time to revise. But that’s a ways off yet, so it’s all good right now. Meanwhile, I was visiting my parents this weekend, and before I left, my mother handed me a bag of pearl onions. Apparently, my father decided to plant onions late and didn’t pay too much attention to what he was buying and thus instead of yellow onions, he planted pearls. Lucky for me. I love pearl onions. I love them creamed and I love them pickled. Tonight, we’re pickling. I sense lovely Gibson cocktails in my future. Because I’m the responsible sort, I like to share information when I have it. The other day Spencer and I were watching a show on the Smithsonian Channel on my Roku. The show was called The United States of Drinking, but despite the title, all the places they visited were in Virginia, Maryland, and DC. We learned a lot, including that there is a gin distillery in DC called Green Hat. When the episode was over we immediately went to the liquor store, because apparently I’m the ideal consumer. This is why I don’t watch commercials people. 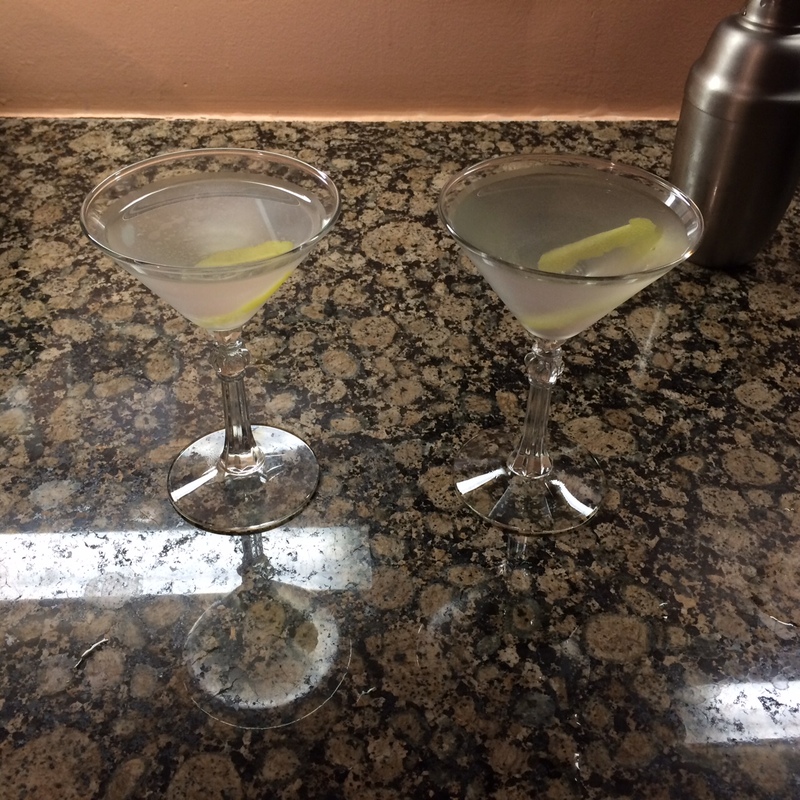 Having procured the Green Hat Gin, we brought it home and I made martinis, because what better measure of gin is there? I thought the martinis were pretty good. Spencer was less impressed, but we both agreed we’d had better. Last night I made a gin and tonic, because what isn’t perfect in a martini is often saved by tonic. Once again, I didn’t love it as much as I’d hoped. 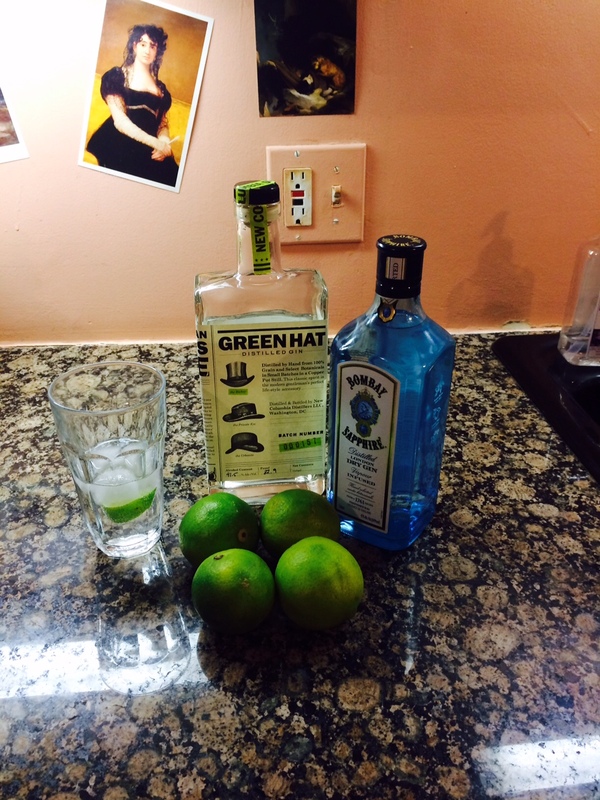 The end result: Green Hat makes good gin, but they are heavy on the botanicals. It’s like they’re trying too hard. Bombay Sapphire still reigns supreme for me, but while I was at the liquor store I discovered two Virginia based gin distilleries that I haven’t tried, so more valuable information to follow.